All Round Property Maintenance - Bathrooms, Builder based in Horley, Surrey. 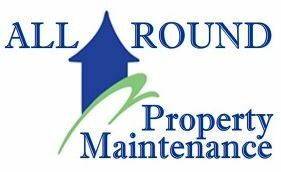 All Round Property Maintenance are based on the Surrey/Sussex border. This family run business provides complete property maintenance services. Our aim is to provide excellent workmanship alongside a high level of customer service at a price that suit’s all. If our customers have limited budgets then we will be happy to work with them to get the most for their money. With over 25 years' experience in the construction industry, in both domestic and commercial environments, the company now specialises in domestic environments. The company has built up a loyal clientele based on recommendations, a high standard of workmanship, good honest customer service and an excellent all round work ethic. We are based on the border of Surrey and Sussex in Horley, giving us excellent transport links to Sussex, Surrey, Kent and London. We are happy to travel to all these areas, offering quotes and services of the highest standards.